Cauliflower is a cool season crop that is a bit more finicky regarding its climactic needs than its relatives broccoli, cabbage, kale, turnips, and mustard. Sensitivity to weather and environmental conditions make cauliflower prone to numerous growing problems. Usually, the issues center on cauliflower curd problems such as headless cauliflower. What are some of these conditions that can affect cauliflower head development? Cauliflower has two phases of growth — vegetative and reproductive. The reproductive phase means head or curd growth and any number of conditions during the reproductive phase such as unusually hot weather, drought or low temps can result in small premature heads or “buttons.” Some people think of this as a headless cauliflower. If you have no head on your cauliflower, it’s undoubtedly stress affecting the plant. 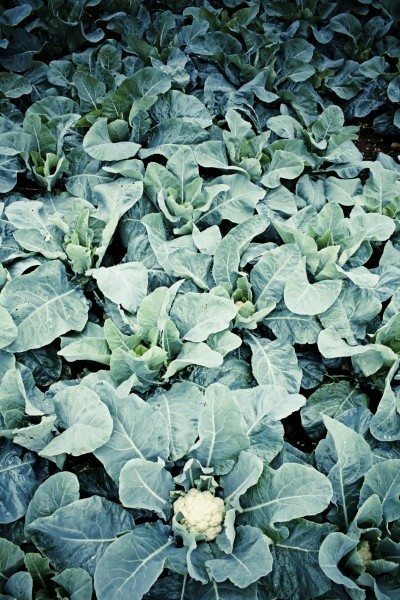 Stresses that affect cauliflower development may be overly cold soil or air temps in the spring, lack of irrigation or nutrition, root bound plants, and insect or disease damage. Cultivars that mature more quickly are more susceptible to stress than those that need a longer growing period. To avoid having tiny buttons or even no head on a cauliflower plant, proper care must be taken when planting and during follow-up care. Moisture – Soil should always be moist to a depth of 6 inches. Consistent moisture is necessary for the plants to develop full heads. They need additional water the later in the season that you plant it since cauliflower grown into the warmer parts of summer obviously need more water than those grown in the cool early spring. 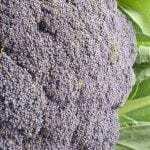 Temperature – Cauliflower doesn’t tolerate warm temps and must be planted early enough to mature before the hot weather. 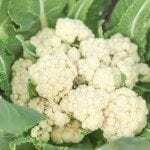 Some varieties of cauliflower may need to be blanched to protect the heads from sun damage prior to harvest. This means the leaves of the plant are tied over the developing heads much like a kerchief. Nutrition – Sufficient nutrition is also crucial for proper head development. 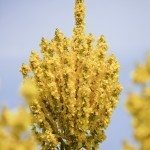 No head on a cauliflower plant may be a symptom of a lack of nutrients, especially since cauliflower is a heavy feeder. 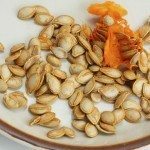 Amend the soil with compost, well tilled in, and apply a 5-10-10 fertilizer at the rate of 3 pounds per 100 square feet just before transplanting. It’s also a good idea to side dress with nitrogen at three to four weeks post transplantation in the amount of 1 pound per 100 foot row. Monitor the cauliflower for any signs of insect or disease, provide plenty of nutrition and consistent irrigation and you should be seeing beautiful, large white cauliflower heads in no time.